Mitsubishi is offering buyers the chance to have their Christmas shopping paid for, with a €500 Dunnes Stores voucher if they order their new car before the 17th of December. That offer is available on the company's three core SUV models - the ASX, the Eclipse Cross and the just-updated Outlander PHEV. The Outlander has just arrived here, fresh from the plastic surgeon, powered by a new 2.4-litre petrol engine, more range on a full battery and some cosmetic tweaks to the cabin. It now comes in three trim levels (Intense, Instyle and S-Edition) and prices start from €39,900 (a bit less than previously) once you factor in the VRT rebate and the SEAI grant. That battery range is now up to 45km, and Mitsubishi claims that you should be able to get 600km from a combo of full tank and full battery. It emits just 46g/km and has motor tax of €170. And it's coming with special offers for 191. Order before the 17th of December and you get that €500 Dunnes voucher. 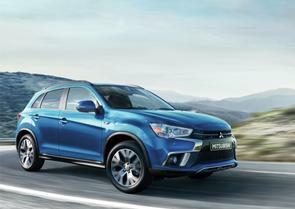 Order up to the 31st of December and Mitsubishi will throw in €1,000 worth of optional accessories. Oh, and that's all available on 1.9 per cent Hire Purchase finance, with repayments starting from €505 per month. There's also an updated diesel-engined Outlander, available with five or seven seats, and that now comes with a new 'Black Line' edition. Black Line models get a sunroof, new black alloys and new styling elements, while both Black Line and InStyle models come with a keyless operation system, leather seats, Apple CarPlay and Android Auto, reversing camera and parking sensors all as standard. Prices start from €41,100, and they're available with the Dunnes voucher and the 1.9 per cent finance too, with repayments starting from €412 per month. The Eclipse Cross comes with a seven-inch touchscreen featuring Apple CarPlay and Android Auto, a touchpad controller, head up display, keyless operation, electric parking brake with brake auto hold, panoramic sunroof, heated front seats and rear view camera and parking sensors. It too gets the 1.9 per cent finance package, with monthly repayments starting from €353 per month - and you can get the €500 Dunnes voucher if you order before December 17th. Finally, the ASX is still available, with a 1.6-litre engine and front-wheel drive, and with prices starting from €24,750. Standard kit includes Apple CarPlay and Android Auto, rearview camera and parking sensors, cruise control and Bluetooth, 18-inch alloys and LED daytime running lights - and you can have it on a 3.9 per cent PCP finance package, with monthly repayments starting from €283 per month. Oh, and the Dunnes Stores voucher.